Science fairs foster a spirit of inquiry in education, helping students to realize and experience practical applications of what they have learned in the classroom. For teachers who see the benefits of bringing inquiry learning into the classroom, the question of how to do so while covering the curriculum can weigh heavy. In a thoughtful blog post on the Canadian Education Association's web site, English teacher Brooke Moore explores that question -- among others -- concluding that, "there is a distinct difference between giving students the liberty to go in many directions and scaffolding them to move in a purposeful direction with confidence." Read more about Brooke's experience with inquiry learning in the classroom here: www.cea-ace.ca. 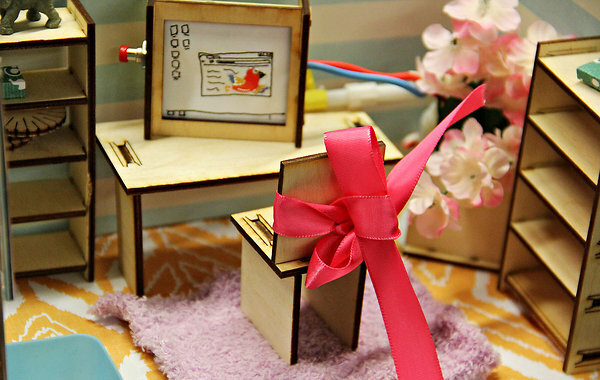 Here's a novel idea: a dollhouse complete with assembly-required furniture and working circuit boards. The goal, of course, is to reach girls where they live, so to speak, and encourage an early interest in math and science. The project, called "Roominate," is the brain child of three women who met as master's students at Stanford University. Noting the significant gender imbalance in their classes, Alice Brooks, Bettina Chen, and Jennifer Kessler cast their minds back to their own childhoods -- and the gender-neutral toys that entertained them. Alice Brooks' father gave her a saw, for example. The research of Quincy High School seniors Peter Giunta and Eoin Moriarty snagged them a Team Honorable Mention at the 63rd Massachusetts High School Science & Engineering Fair at MIT in May. More importantly, the pair's project shed light on an interesting question: Is the consumption of probiotics through yogurt or pills really beneficial to digestive health? Read all about their project and the hands-on work that they did in order to reach their conclusion. The University of Maryland Baltimore County is a STEM machine, due to the vision and leadership of Freeman Hrabowski. Be sure to check out this great "60 Minutes" segment about Hrabowski and his success at making UMBC a powerhouse in the sciences.